Pan Flute 101 - Free Pan Flute Lessons and More! Further practical advice for beginners is available on the blog of Ronald Govoy! 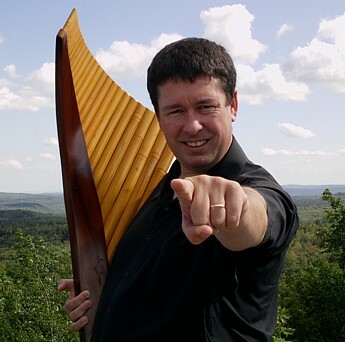 Learn the pan flute with Douglas' free lessons! "Are you having difficulty downloading my lessons? See them on YouTube!" "Are you interested in private lessons? I also offer personal lessons on Skype! In addition to the benefits of live personal lessons at a very affordable rate, my Skype students also have access to my extensive private library of pan flute music (almost 6 GB), which includes many rare and out-of-print recordings. If you are interested in becoming a Skype student, feel free to contact me on Skype (my Skype ID is Panflutejedi) or email me for details!" Affordable pan flutes of high quality? Here are Douglas' personal recommendations! 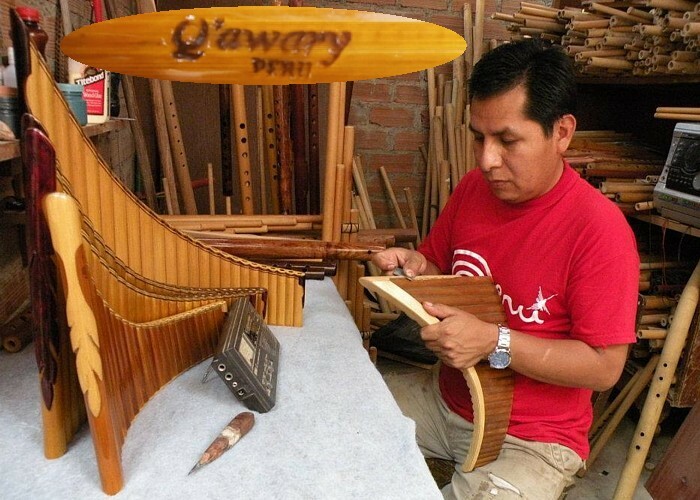 Q'awary Pan Flutes One of the best-kept secrets of the international pan flute community can be found in Lima, Peru, the home of Se�or Hector Ruben Mu�oz Perez, a builder of world-class concert pan flutes. For more than 20 years, Ruben has been quietly refining his pan flute craftsmanship, and has attained an astonishing level of quality, surpassing that of many of the most costly pan flutes on the market today. Ruben works with the finest Peruvian Amazon bamboo, harvested by sustainable methods, and aged and cured for up to ten years. Ruben speaks Spanish, so non-Spanish speakers will need to use a translation tool when contacting him. 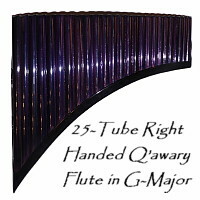 The price for a 22-tube (G1-G4) alto Q'awary Pan Flute is an amazing $360 US, and if that's not enough flute for you, his magnificent 27-tube (D0-B3) bass flutes are a paltry $1000 US! Requests for information concerning special orders and other questions may be directed to Ruben's private e-mail account, or to Ruben's Facebook page. Ruben may also be contacted on Skype (his Skype ID is rubenpanflute@gmail.com). Construction time and delivery dates may vary according to diverse conditions, including inclement weather, international shipping processing, and backlog of previous orders. The payment method for Ruben's pan flutes is by Western Union transfer (find a Western Union location near you), payable to Hector Ruben Mu�oz Perez. Tell him Douglas sent you! 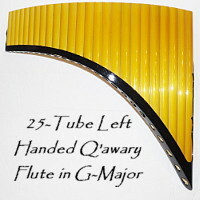 Q'awary Pan Flutes on eBay!!! The UU Student Pan Flute Nowadays, there are a bewildering variety of pan flutes to be found and purchased online, and beginning panflutists are quite justified in their skepticism and caution. However, I am happy to save the prospective pan flute novice a lot of worry and troublesome online searching. 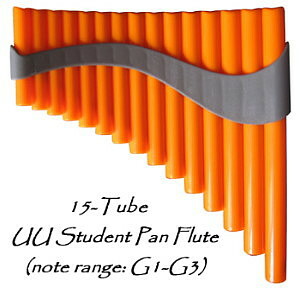 The UU student pan flute is made by the UU Panflutes company in southern China, and it is a very capable, easy-to-play 15-tube pan flute, built with ABS resin. 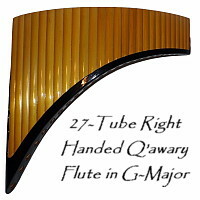 I have also taken the liberty of uploading a short video to YouTube showcasing this little flute. Now, for the best part: the price is less than $40! Having one of these pan flutes in my possession, as a professional panflutist I can personally say that it doesn't get any more affordable than this for a serviceable and capable beginning pan flute. UU Panflutes is currently offering this handy and durable flute through eBay, and shipping is free! Another excellent development with the UU Panflutes company is the availability of their useful 22-tube pan flute models. 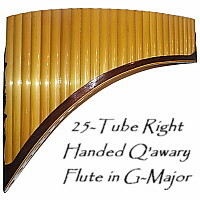 These flutes are the same range and scale (G1-G4) as is commonly found in use among panflutists, but for a fraction of the cost (less than $70)! This model comes in a selection of various colors, and can also be easily ordered through eBay, and also with free shipping! Would you like more choices? Browse through my list of reputable pan flute builders! A Worldwide History of the Pan Flute It is clear that no pan flute student's education can be complete without some knowledge of the instrument's history. For some time, I have pondered the past and present history of the pan flute. One surprising insight I have gained is this: among my colleagues, it is an apparent rarity to consider the implications of any of the pan flute's history beyond its modern period, a span of time approximately encompassing the previous 70 years. 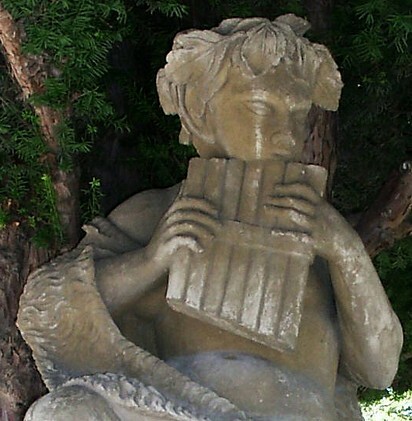 Much of what modern panflutists understand as "pan flute history" is based on the assertions of their respective teachers (relatively few of whom have actually researched the pan flute's history), or even on the conceits of mythology. 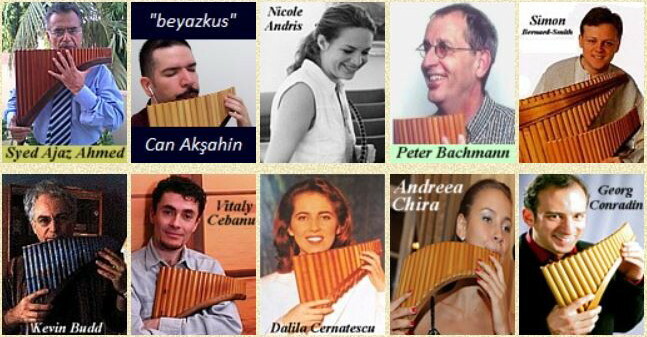 These accounts often name the usual prominent figures in the pan flute's modern history (Zamfir, Damian Luca, etc. ), but rarely (if ever) address the pan flute's history prior to this period. During this modern period, the teaching and building of the pan flute has become the province of specialized ateliers and schools, as well as prominent performing panflutists. In the words of one European atelier: "This is the most artificial time for the pan flute". One of the most deplorable consequences of this increased institutionalization is that the pan flute's ancient history becomes a footnote, little studied (if at all) and neglected. One of my primary missions is to correct this oversight, by employing an evidence-based approach, and my knowledge and research of historical disciplines, to tell the pan flute's story with fidelity and impartiality. The pan flute's ancient history makes one thing very clear: for almost all of its history, the pan flute has not been a thing of the prominent, but of the "average Joes and Janes" who, liking the sound of the wind blowing through the reed and bamboo thickets of the world, decided to build their own pan flute, and enjoy themselves playing it. In the realization of this historically accurate "average person / pan flute" relationship is to be found the true nature of the instrument. The incredible diversity of the pan flute forms to be found worldwide, and the diverse origins of the people who have built and played them throughout history, overwhelmingly bears witness to this. This is in stark contrast to the compartmentalization of more recent years. 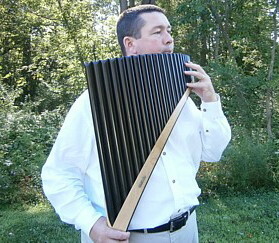 When I examine the historical evidence, I can only arrive at this conclusion: The pan flute is not a thing of one person, one name, one people, or one nation - it is a thing of all humankind. Enter "A Worldwide History of the Pan Flute"
The Hall of Panflutists For anyone wishing to explore the international pan flute community with ease, the Hall of Panflutists is the place. This page is the result of many years of work collecting information on panflutists worldwide. 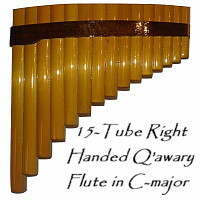 I also update this resource regularly, assuring that the Hall of Panflutists remains useful, as well as containing the latest pan flute listings. I also encourage anyone with an idea for a new Hall of Panflutists link, to e-mail me! Enter "The Hall of Panflutists"
More free pan flute resources!